The Red Sport 400 is genuinely fast, like “Oops I’m going 80 in a 25” kind of fast. That happened to me. I went for a little acceleration test, and I was shocked when I looked down at the speedo. She moves! In this rear drive model I felt the rear tires chirping on shifts and struggling for grip in 2nd gear. It definitely added some nice drama to the whole experience, though I suspect many customers will opt for all wheel drive. The Red Sport 400 delivered a nice surge of boost when I pinned the throttle. It had a nice fat powerband from around 2500 rpm to a little before redline, with increasing ferocity as the revs climbed. There was a tiny bit of turbo lag as you get into the throttle, but it was quickly replaced by a big wave of forward thrust. 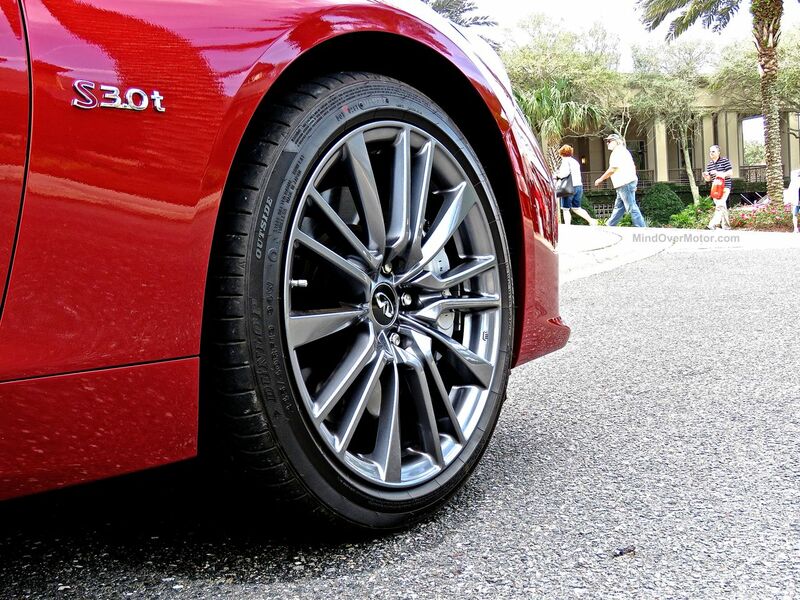 This Infiniti Q50 with the high-output 3.0t takes performance to the next level for luxury sport sedans. Weighing 3,700lbs, with 400hp propelling it, this car is now in the same league as the previous-gen BMW M3 and Lexus IS-F. That’s some serious performance, and surely a step up from the run-of-the-mill BMW 335i. Okay, so what about the rest of the car? While the new 3.0t engine is surely the main story here, a good engine alone doesn’t make for a great car. 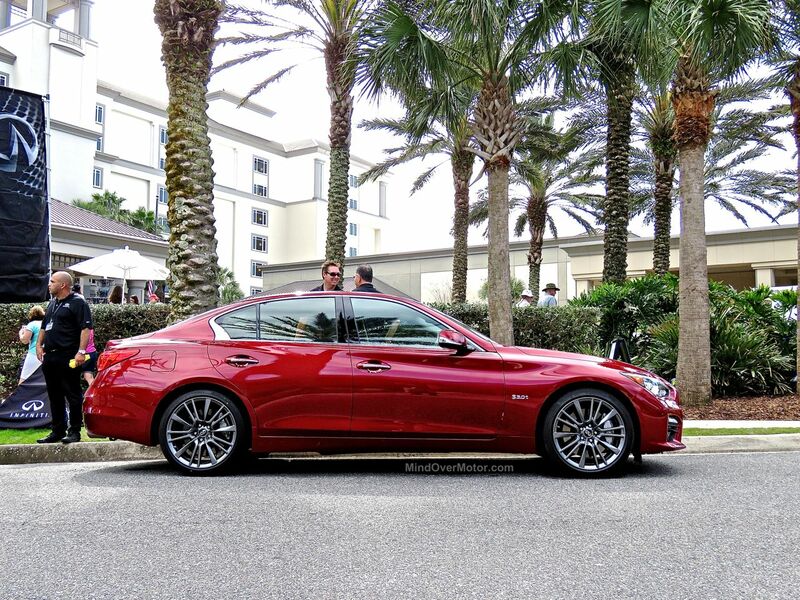 I drove the Q50 S Hybrid a few years ago, and was very impressed with it as the next step for the Infiniti brand. 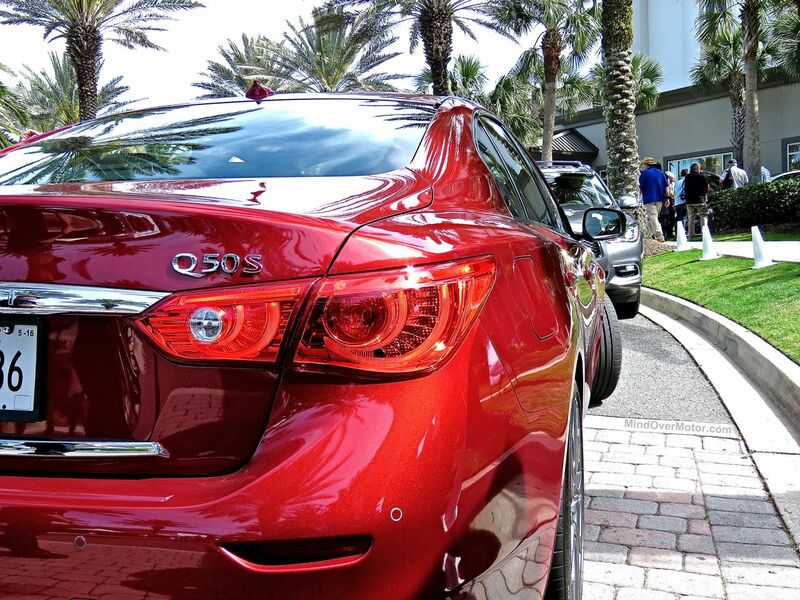 The story is much the same with the Q50 Red Sport 400. Those familiar with previous-gen Infiniti G35s and G37s will be very impressed with the Q50’s jump in quality, as well as in fit and finish. 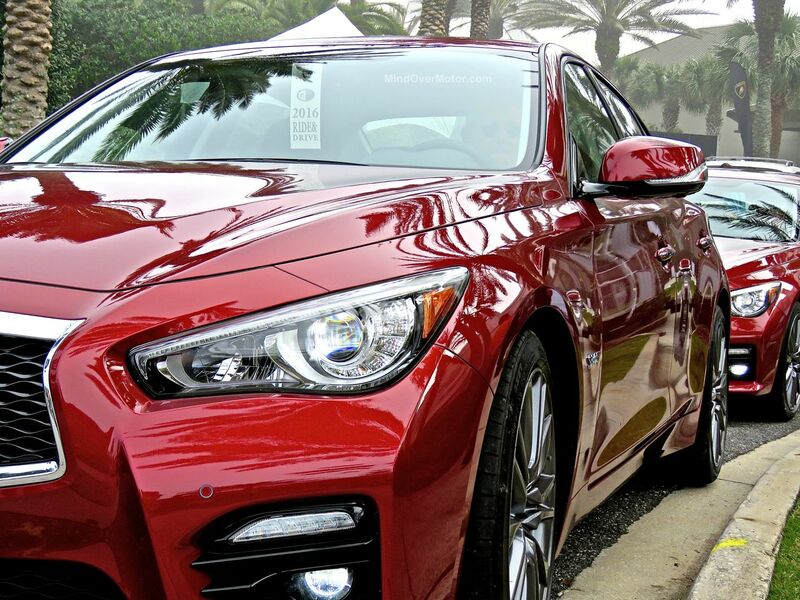 The Q50 is a very nice, comfortable sedan with some decent sporting capabilities. The only thing I’m not totally sold on in the Infiniti Q50 lineup is the drive-by-wire steering. 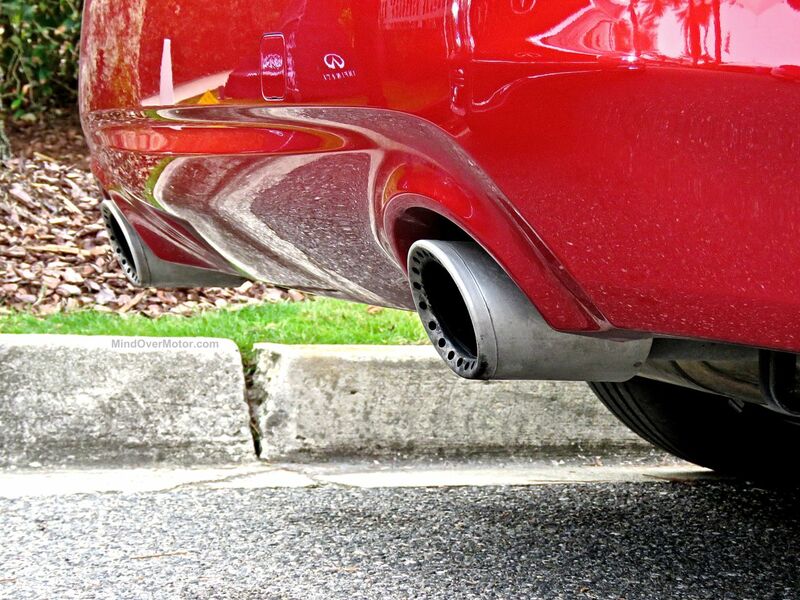 That’s right, there’s no physical connection with the front wheels while you drive, and that can be an issue for many of us. I know Infiniti has a fail-safe spring-loaded connector that engages the steering wheel to the steering rack if a failure occurs, but what if that doesn’t work? My concern may be a little much, but if I could change one thing about the Q50 it’d be to give it mechanical steering. I wouldn’t say it’s entirely a deal-breaker for me, though, because the rest of the car is so good. 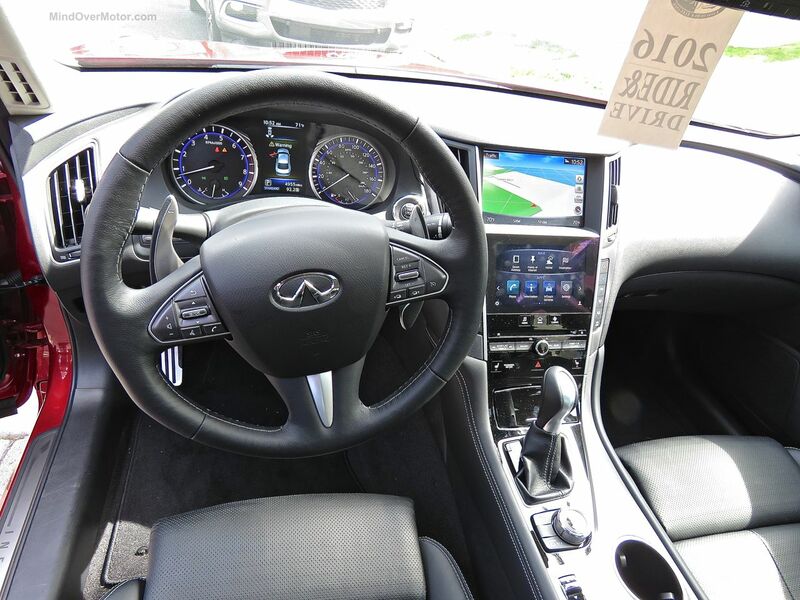 I also had some time riding in the back seat of this Q50, and I was really impressed with how comfortable I was. 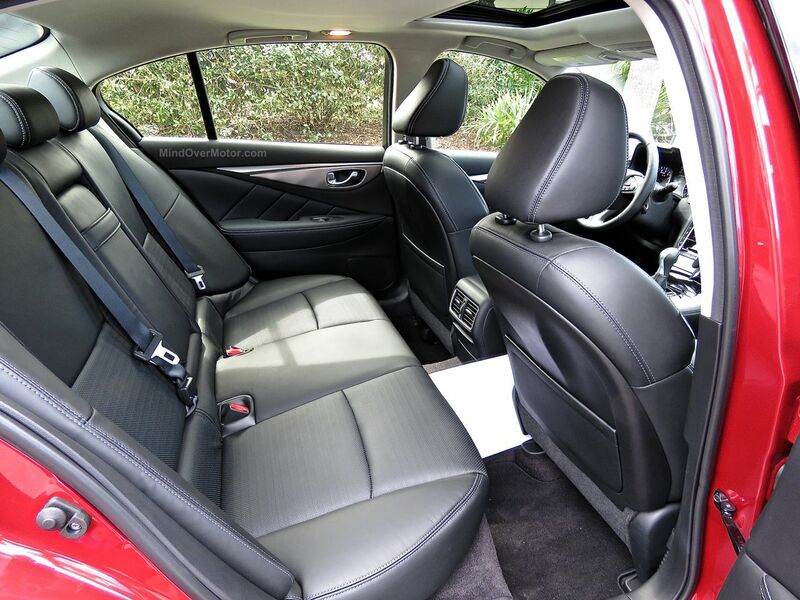 This is normally a point I’d just leave out because the standard for a typical rear seat is to be merely “tolerable.” But the posture in the Q50 was really nice for me, and I’m a pretty big guy at 5″11. Again, a great engine needs to be a part of the full package. With that in mind, the Q50 Red Sport 400 isn’t supposed to be a full-on BMW M3 rival. It’s more like a BMW 335i rival that’s brought a bigger gun to the fight. 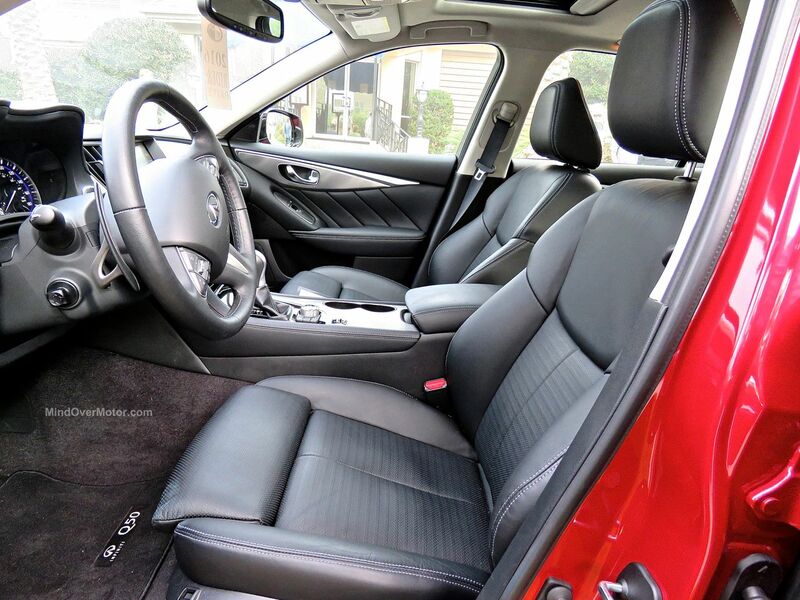 The Red Sport 400 utilizes Nissan’s rev-matching 7 speed automatic gearbox. It’s a nice all-round transmission, and capable of solid crisp shifts when driving fast. In terms of handling, the Red Sport 400 is both willing and capable for fun on winding roads. I’m not sure how it would do at its limits on a racetrack, but again this is a sport model, not a full performance model. Most drivers will enjoy its lively and composed handling in Sport + mode just fine. 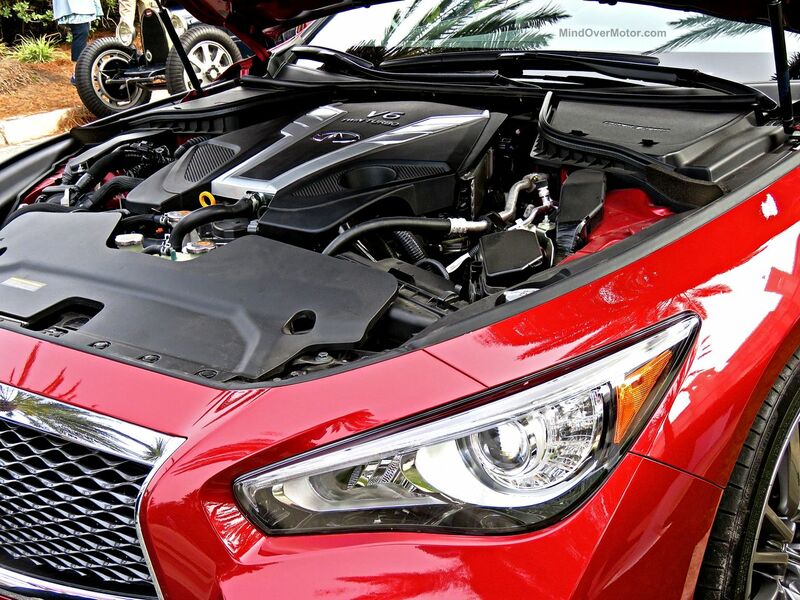 And with that potent new engine, the Infiniti Q50 Red Sport 400 is a sport sedan that will exceed your expectations. 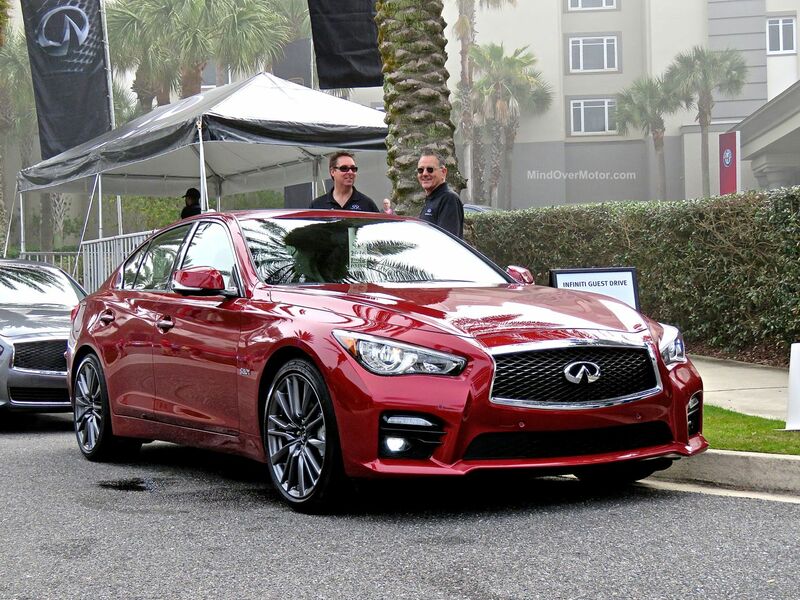 Infiniti had yet to announce official pricing for the Q50 Red Sport 400 when this article was first written, but I knew it was safe to say that the Audi S4 and BMW 335i should be worried. I figured it’d be around $50-60,000, and I was right. Infiniti recently released pricing for the Red Sport 400. The RWD model starts at $48,000 and the AWD model starts at $50,000. The real kicker, though, is that the Q50 Red Sport 400’s pricing tops out right at the $60,000 mark, and that makes it a tremendous value. Infiniti has brought a heavy hitter to the game, one that raises the bar to a new level. In addition to the Q50 Red Sport 400’s higher performance, Infiniti also has a better reputation for reliability and lower running costs than their European rivals. 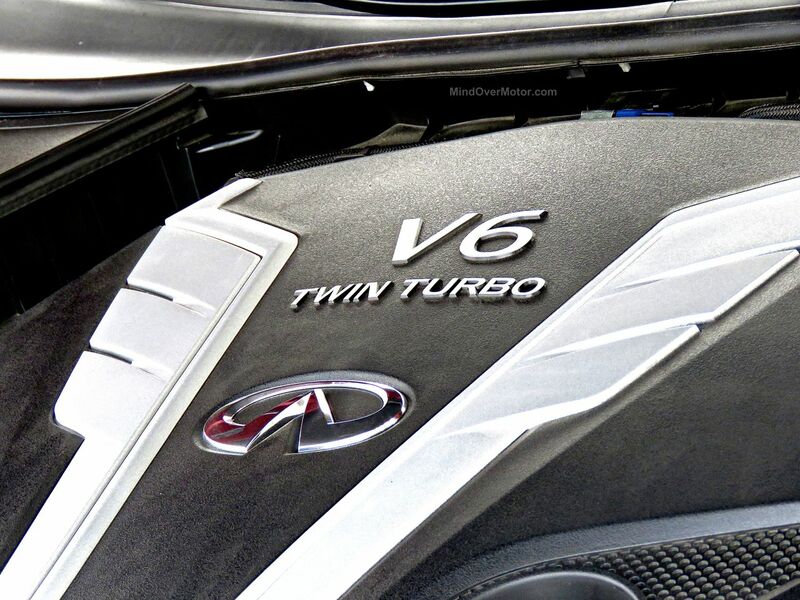 If that reputation continues to hold true for the Infiniti Q50, then that makes the new turbocharged models, Q50 2.0t and Q50 Red Sport 400, extremely appealing. Infiniti raised the bar in a similar way when they brought out the G35 in the early 2000s, and it made their brand successful to this day. I’m thrilled to see Infiniti finally stepping up I to the big leagues of the luxury market, even upping the ante in the process. Looking forward to test driving this one! Beautiful car! With my Audi Q5 TDI about to be recalled or sold and another vehicle to tow my trailer already in the garage I’m taking my time shopping. No more VAG, I’ve given them 3 tries and each time they sold me a fraudulent vehicle. High on my list is the C43 amg (small letters on purpose) and a chipped 340i. IMHO, both of these cars blow away the Q50 Red Line for the same money. I bought a G37 years ago to save $8k over a BMW 3 series and also just to change up from my prior 2 cars both BMW 3 series. It was a nice 2 year compromise. But for the same money, no way! The Red Line at $43k nicely equipped is compelling while just an afterthought in the $50s. I’ve driven BMW 35is and Audi S4s and I can tell you quite frankly that the Q50 Red RS400 is clear step up out of the box in terms of its performance. And there will surely be a healthy aftermarket for the Infniti just like the Europeans. The C43 AMG is an interesting addition too, but even that has less power than the Infiniti. Plus the Infiniti is available in either RWD or AWD, an option you don’t have with the Merc. All I’m saying is it’s worth cross shopping them, and not writing off the Infiniti with European snobbery. Doing so may get you very acquainted with a nice view of Infiniti taillights in the future, and you’ll spend a lot more for the privilege. Overpriced, for the same money almost everyone would choose 340i, 440i GC, or C43 amg. Having driven the car, I can tell you that’s not true unless you only care about being able to say you drive a BMW or Mercedes. If you’re actually comparing the tangible aspects of these cars and their performance, the Infiniti blows the Europeans out of the water. 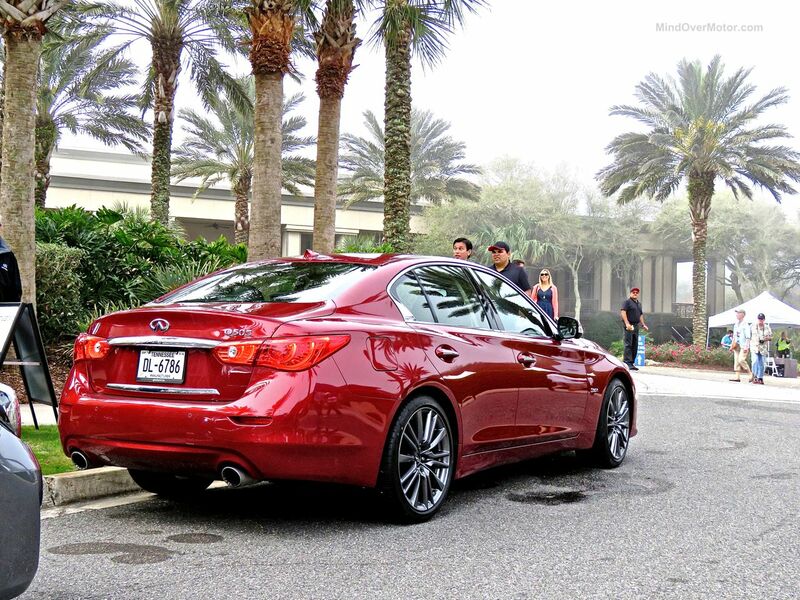 I’d much rather say I drive an Infiniti, over a BMW or Mercedes, any day…….hands down, without a doubt!!!! Are you sure about that??? It’s highly unlikely.